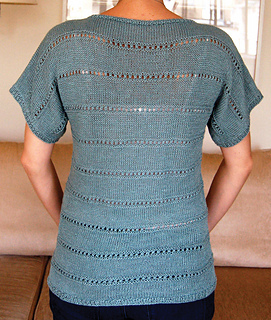 This one piece, top-down linen tee has a very easy 6-row horizontal honeycomb pattern. 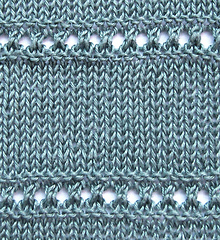 Worked in stocking stitch and the honeycomb pattern, it has k1, p1 rib cuff edges and hem. It is intended to be slightly oversized, and the linen used in this photo softens with each wash – a delight to wear and easy to launder.